European countries facing increased flows of migration should learn from Bulgaria how to improve their controls, British prime minister David Cameron said on December 4 during a tour of some of Bulgaria’s border checkpoints and an inspection of its fence at the Turkish frontier, according to a Bulgarian government media statement. 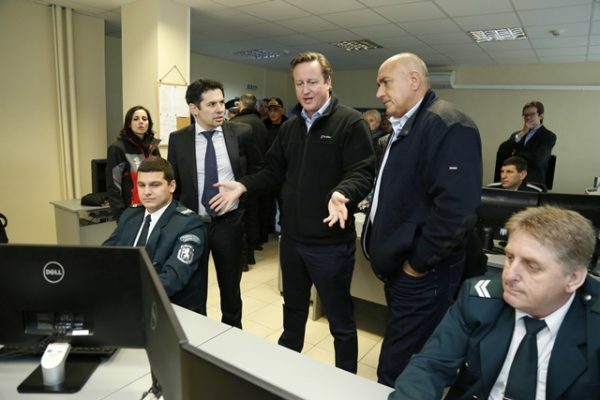 Cameron said that he was impressed by the efficiency of Bulgaria’s border security and said that the country could serve as an example of compliance with the Schengen criteria. Neither the UK nor Bulgaria are members of the EU’s Schengen visa zone. An EU member since 2007, Bulgaria’s efforts to be admitted to the Schengen zone have been opposed by other member states in spite of Sofia’s insistence that the country meets all technical criteria for admission. The Bulgarian government statement quoted Cameron as saying that it was important for Europe to have secure external borders, and it was evident that in Bulgaria, the prime minister and government were very committed to this issue. 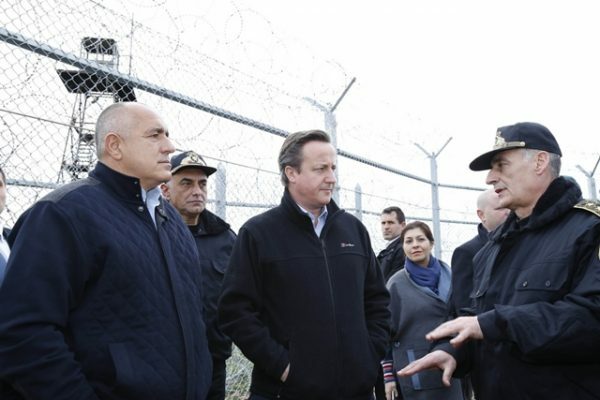 Noting that Bulgaria had a sea border as well as a land border with Turkey that it was protecting, Cameron said that this was a real example of how something, if it was a real priority, could be achieved. Bulgarian Prime Minister Boiko Borissov took Cameron on a tour including the border areas at Lesovo and Elhovo. During the inspection, they were accompanied by Stoyan Ivanov, deputy director of the Border Police. Borissov and Cameron continued the discussions they began the day before on the topics of effective control of the external borders of the EU and the finding of a lasting solution to the violence in the Middle East and North Africa. The two heads of government reiterated the need for solidarity and united action by all EU countries to stop the migrant wave and to overcome the crisis in Europe, saying that this can be done by resolving the problems at their source, by supporting Turkey’s efforts to curb refugee flows and through effective implementation of readmission agreements concluded with key third countries. At the Border Police regional directorate in Elhovo, Deputy Interior Minister Philip Gounev briefed the British delegation on Bulgaria’s border control, CCTV system and other measures taken to deter illegal migrants as well as their verification and registration. According to the Interior Ministry, in 2015 Bulgaria has detained 29 308 migrants who have crossed the borders illegally and 5150 people have been granted refugee status. The security of the Bulgarian-Turkish border is reinforced with additional staff, including specialised Frontex patrols. Borissov said that Bulgaria took its duties as an EU country very responsibly, saying that the steps taken by Bulgaria ensured the safety not only of Bulgarian but also of all other European citizens.